There are over 10,500 artifacts in History Colorado’s historical archaeology collection, representing a variety of artifact types that provide insight into life during the state’s early settlement. The artifacts are from more than twenty significant sites—such as historic houses, stage stations, and fortified strongholds. 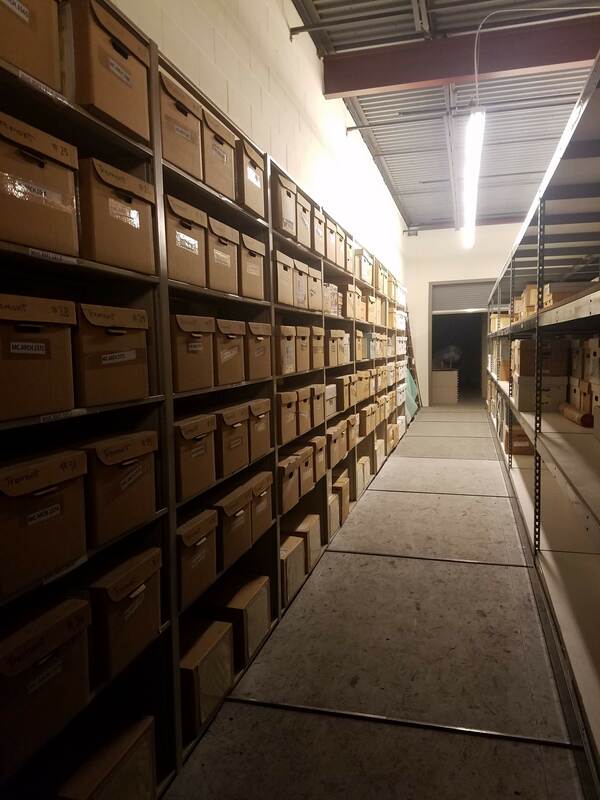 Funding from the Statewide Internet Portal Authority recently made records for the historical artifacts available digitally via the online portal here. 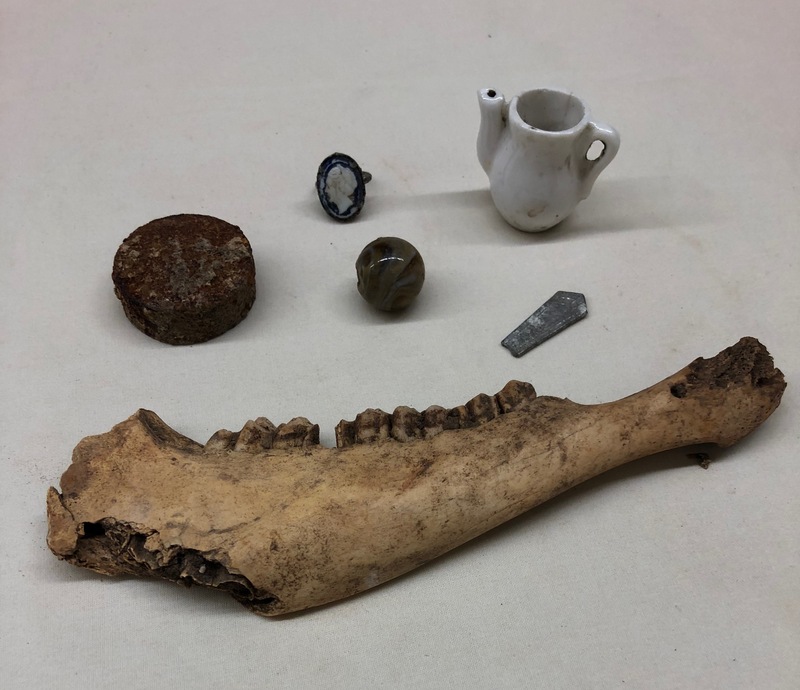 The artifact types from the historic sites are wide-ranging; they include horseshoes, adobe bricks, burnt animal bone, metal tools, and dishware along with personal items like clay pipes, clothing, shoe fragments, jewelry, and children’s toys. The materials capture different ways of life that defined early Colorado settlement. Artifacts found at these sites help describe trade and commerce systems, historic construction methods, the kinds of meals people ate, and how the use of certain structures changed over time. In the early to mid nineteenth century, people used forts to shelter or protect settlers and travelers, as centers for trade, and for military purposes. Archaeological materials from forts are well represented in History Colorado’s collection—with artifacts from Fort Saint Vrain, Fort Garland, Bent’s Old Fort, Fort Vasquez, and Fort Massachusetts, which was the first American military post in Colorado. History Colorado is home to artifacts from two great historic houses: Tremont House and the Byers-Evans House. The Tremont House operated as a first-class hotel from the late 1850s to the mid-1880s, and later as a boarding school before flooding led to its destruction. The Byers-Evans House was once home to Anne Evans, a key figure in Denver’s burgeoning arts and culture scene. Today, the home is a Community Museum of History Colorado, and—as the Center for Colorado Women’s History at the Byers-Evans House Museum—it operates as the first state museum focused on women’s history. “Mile houses,” such as Four Mile House and Twelve Mile House, supported travel across Colorado. Run by families who also lived at the property, they operated as stage stations that offered travelers a place to rest and refuel along stagecoach trails. Today, Four Mile House and several adjacent agricultural buildings are now part of a living history museum known as Four Mile Historic Park. Some smaller artifact collections are from Teller City, the Pioneer Museum of Trinidad, Ouray, and various other sites. Teller City, now abandoned, was a small silver-mining town in northern Colorado. The Pioneer Museum is part of the Trinidad History Museum complex and has been rebranded as the Santa Fe Trail Museum. Additionally, a small selection of artifacts comprise the Ouray Survey and Various Sites collections from locales such as the Bright Diamond Mill, Fort Lupton, and buildings from the Marshall Pass Railroad. 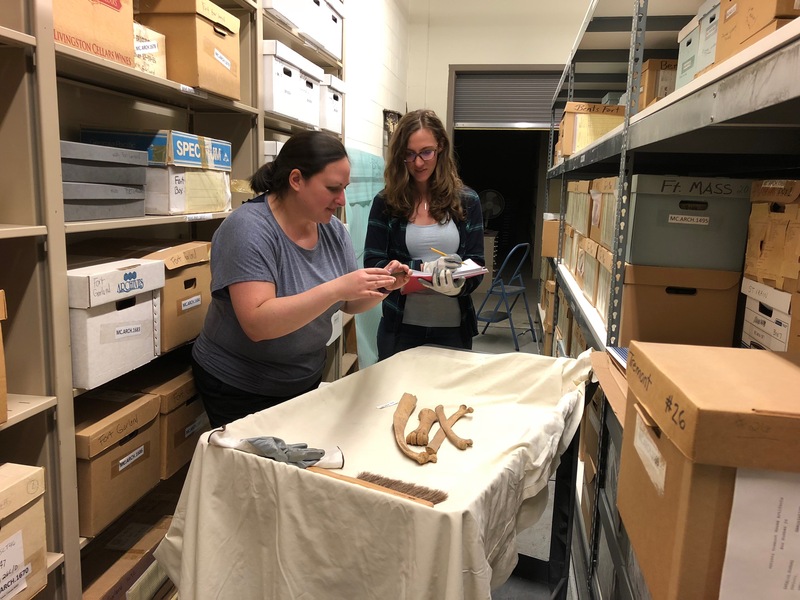 In the summer of 2018, a Statewide Internet Portal Authority (SIPA) micro-grant funded interns Veronica Rascona and Heather Christenbury to digitize more than 325 records of archaeological material representing over 10,500 artifacts. Before the SIPA project, accessibility to that information was only available in the form of handwritten records. The goal was to establish digital access to the information and artifacts related to these historic sites for the public and researchers. For this project, the interns created database records and searchable artifact inventories in a digital format, while researching each of the sites to generate brief summaries of their histories. Finally, they uploaded collective information into History Colorado’s online collections portal which you can access here. Thank you to the Statewide Internet Portal Authority (SIPA) for making this project possible. The digitization was supervised by History Colorado’s Collections Manager Bethany Williams and conducted by interns Veronica Rascona and Heather Christenbury.